The official start of summer is a month away, but the unofficial start of summer starts this weekend in honor of Memorial Day. I’m so excited because summer brings longer days, warmer weather, and barbecues! Barbecues mean there will be a lot of entertaining at our house. I always try to give guests an unexpected surprise, such as a signature dish or drink they will go home talking about. To celebrate the unofficial start of summer, I’ve made this summer sunset wine chiller that can be made and chilled hours before the party starts. Enjoy! Strain juice from pineapples. 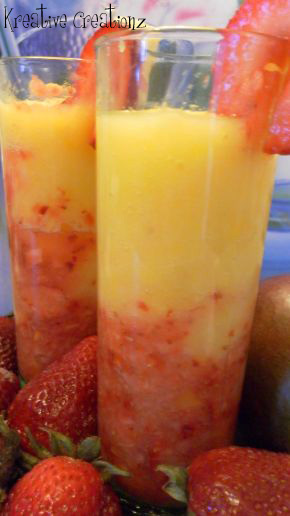 Freeze mango, pineapples, and strawberries. 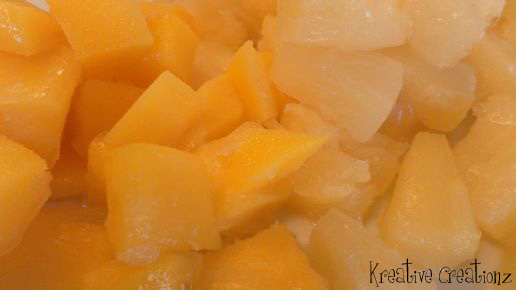 Remove fruit from freezer. 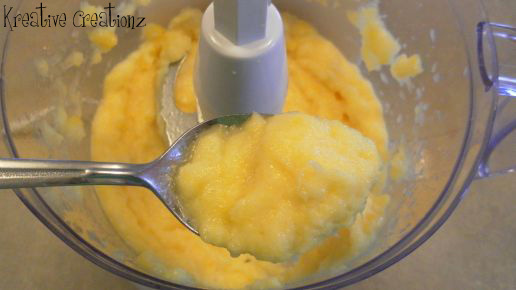 In food processor, blend mango, pineapples, and one ounce of wine for each serving on low for 30 seconds or until texture is smooth. Scoop mixture into bowl. 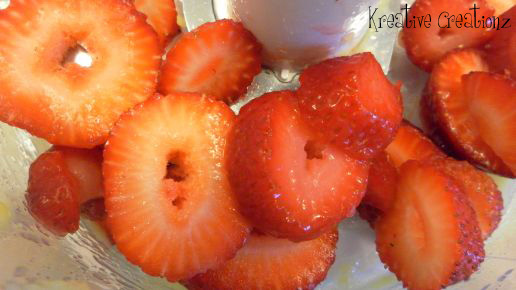 In food processor, blend strawberries and one ounce of wine for each serving on low for 30 seconds or until texture is smooth. In a highball glass, scoop strawberry mixture halfway into the glass. 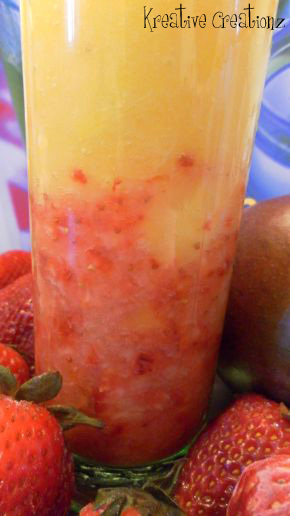 Layer the mango and pineapple mixture on top of the strawberry mixture. Garnish glass with pineapple and strawberry slice and serve chilled. Thanks, Jamie! I’m heading that way now. Sounds Delish! Might have to try that this summer! 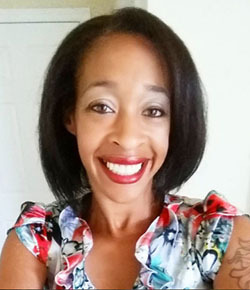 Following you from the Tuesday Blog Hop! Thank you for stopping by, Bev! I hope you like the drink! Just found this link on Penny’s party. This drink looks absolutely DELICIOUS! I pinned it and am planning to make it for Memorial Day! Yum! Thank you for the pin, Laura! Sounds refreshing and looks amazing! Thanks for sharing. Gorgeous, I can taste it now! Thank you, Dana! I will be sure to stop by. This looks so delicious, going to have to try it this weekend! Found you through fluster buster. Have a wonderful day! Thank you, Kayla! I am now following you on FB. Oh this looks so refreshing, here in Louisiana summers are so hot and humid this would aid greatly in some late day relief. Creating a new Pintrest board to pin this on called Ahhh Refreshing. Hi, Joyce! Thank you for the invite. I’m heading that way now! This looks delicious. If it wasn’t so early in the morning I would make myself one! Thanks for sharing at the In and Out of the Kitchen Link party. See you next week. Thank you for hosting, Cynthia! Shared on Google+ today ! Thanks for the share, Linda! What a great Memorial Day cocktail. Thank you for sharing at Fluster’s Creative Muster. You’re welcome, Robin. Thank you for hosting. Goodness Kendra! That looks sooo delicious! Thanks for linking up at The DIY Dreamer last week! Can’t wait to see what you link up tomorrow evening! Yum! This looks delicious! I may have to pin this and try it out later. Thanks! Sara, you will love this drink! Thank you for the pin, Virginia! Wow this looks so yummy! And refreshing too 🙂 Thanks so much for sharing at Mom On Timeout! You’re welcome, Trish! Thank you for hosting! Heather Who Needs a Cape? Found you at Love in the Kitchen! Thanks for stopping by, Heather! I’m on my way to visit your blog now! 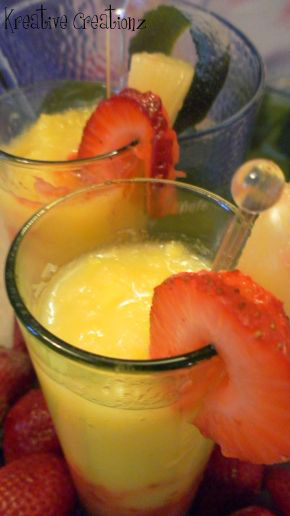 Looks refreshing and delicious for summer! These look yummy! Definitely on my list of summer drinks now. Looks delicious! Can’t wait to try it! Thank you for stopping by, Kristen! Perfect timing! This looks fantastic (better than the glass of wine I’m drinking right now, and it’s pretty fantastic). I stocked up at my favorite winery yesterday. I’m going to try this with strawberry wine. Thanks for sharing!